Investors filed claims that bring the footwear retailer's relationship with its largest supplier into focus. Last May, as Foot Locker posted sales and profits that beat expectations and reported that it had successfully trimmed previously bloated inventories, CEO Richard Johnson touted the retailer’s "strategic vendor partnerships." But the company is facing a couple of lawsuits that run counter to that — one filed in March by the Warren, Michigan police and fire pension fund in federal district court and a separate class action in May, with another coming just last week in New York State Supreme Court — all claiming that Johnson, his management team and the company’s board weren’t sufficiently forthcoming about how badly sales were suffering as vendors turned to sell more directly to customers. They "knew, or should have known, the risks associated with customers making purchases from online [retailers] or the vendors themselves," and blamed market forces instead, according to the complaint from stockholder Hayward Woods, who's held shares since 2007, in documents filed last week. Woods' lawsuit also alleges that "vendors were requiring the company to purchase large quantities of undesirable products that were expected to sell poorly in order to obtain desirable products," documents show. It remains to be seen whether any plaintiffs will find redress in court. Foot Locker has turned things around financially of late, reporting in August that total second-quarter sales rose 4.8% (or 3.9% currency neutral) to $1.8 billion, with strong performance in North America, as net income rose to $88 million from $51 million the previous year. Comparable sales rose 0.5%, with store comps falling 0.8%, and direct-to-consumer comps rising 9.3%, the retailer said then. That reflected a recovery that has cheered many analysts, including the Wedbush team led by Christopher Svezia. "In the end, [Foot Locker] appears to have fulfilled a key part of its story, and Nike's strongest key partner seems to be receiving the relevant depth of premium product (Nike and other brands) to drive its business positive," he wrote in comments emailed to Retail Dive in August. The company also trimmed its inventory 2.8% from the previous year. The retailer's turnaround led to it shuttering 100 stores this year, while opening about 40, in a process that executives have said has been highly selective. In general, while Foot Locker is grappling with significant market turmoil in its sector, it's on the right track, according to NPD Group Vice President, Senior Industry Advisor Matt Powell, who in recent months has warned that sports retailers and manufacturers have flooded the sneaker market without much regard for consumers' emerging preference for leisure styles. A faster fashion cycle in the sneaker market may be one reason for that, and, at Foot Locker, for the inferior inventory noted in Woods' lawsuit. In any case, it's putting pressure on Foot Locker and its inventory management, according to GlobalData Retail Managing Director Neil Saunders. "Consumers want and demand constant newness and innovation and punish retailers that don't deliver it," he told Retail Dive in an email. "This means that the selling window for a key sneaker design is much shorter and the volume shifted is likely to be less. Brands are much more able to cope with this than retailers as they control the innovation pipeline." The brands are also offering customization, so retailers like Foot Locker miss out on sales from shoppers seeking those services, he also said. Still, Foot Locker is a compelling retailer and has stepped up to meet new consumer expectations. "Foot Locker has a good relationship with Nike and works closely on things like new products and creating better brand experiences and differentiated products," Saunders told Retail Dive in an email. "While this does not reduce Foot Locker's reliance on third-party brands, especially Nike, it provides some comfort that it has the backing of the leading brand at a time when traditional routes to market are being reconfigured." In Greek mythology, Nike is the winged goddess of speed, strength and victory; in retail, Nike is the king of athletic shoes and apparel. The company is a juggernaut, the world's third-largest apparel brand (behind LVMH's Christian Dior and Zara's Inditex), according to Forbes, and eight of its Nike and Air Jordan brands were on the top 10 list of best-selling sneakers last year, according to the NPD Group. A year ago the company said it aims to achieve its $50 billion revenue target within the next five years. It stands to reason, then, that Foot Locker would stock a lot of Nike products or even that Nike would be its largest supplier. But last week's lawsuit claims that in fiscal 2016, Nike supplied 68% of the retailer's merchandise. As Powell told Retail Dive on Tuesday, "if Nike is doing well, then Foot Locker likely is as well." Such heavy reliance isn't wise, though, Saunders warned. "There is no doubt that Foot Locker’s dependence on Nike is troublesome," he said. "It is not a good business model to depend so heavily on one brand, especially at a time when the retail market is changing. Given the importance of brands in sneakers, it is very difficult to see how Foot Locker can shift this any time soon." It's a new world for Foot Locker and retailers like it, where brands are grabbing more retail sales for themselves. Indeed, the complaint that stands out in last week's lawsuit from shareholder Woods is that executives haven't been candid about that. 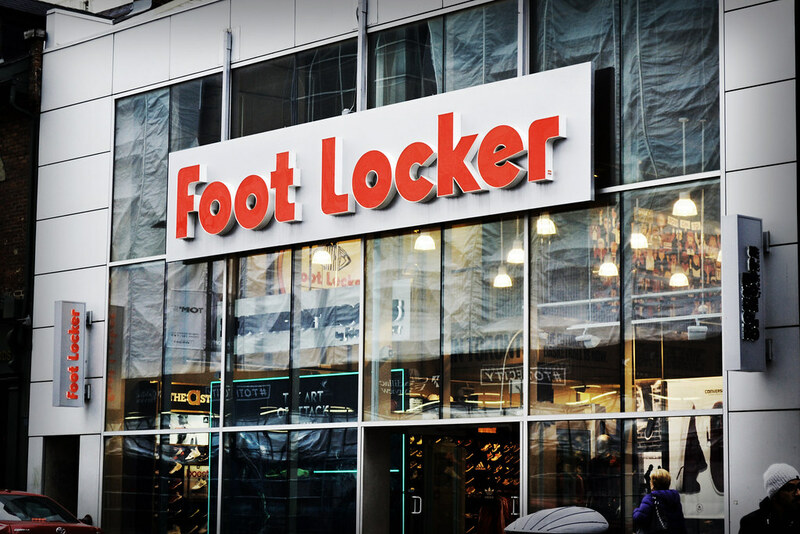 Foot Locker didn’t immediately respond to Retail Dive’s requests for comment for this story, although Johnson did address the topic with analysts in March, according to a transcript from The Motley Fool. "[C]ertainly the vendors all have a DTC component of their business. We understand that. But I think one of the things that we've been clear about, and they have been clear about as well, is that we can both exist in this environment," he said. "And we bring a different formula to the table than a consumer that may be interested in a singular brand today but may want a different brand tomorrow." It's not just a component, but a growing component, however, according to GlobalData Retail's research. "Given that these players are the wellspring for new innovations and fashions, it is far easier for them to pull in consumers than retailers that sell their product," Saunders said. "In the case of Nike, being on Amazon only makes them more accessible." Morgan Stanley analysts in August also warned that Foot Locker could suffer from Nike's growing direct-to-consumer moves, which include online sales as well as new concept stores. "With [Nike] products representing 67% of [Foot Locker] merchandise, investors assume if [Nike] returns to growth, so must [Foot Locker]. We’re not convinced," they wrote in comments emailed to Retail Dive. "Our detailed NKE/FL overlap analysis reveals that 46% of Nike.com SKUs aren’t available on FootLocker.com. Plus, FL's top 10% of customers represent a high percentage of its sales and our AlphaWise survey shows 34% of 15- to 24-year-olds (FL’s core customers) prefer to shop through brands’ stores or online. If these core customers increasingly shop directly with Nike, FL could experience outsized sales declines." By stoking its direct sales or selling through Amazon, however, Nike also loses wholesale opportunities, NPD's Powell noted last year. "While Nike grows its direct to consumer business aggressively, their sales to wholesale have suffered (as indicated by Nike’s reported results), holding back their overall outcome," he said. "To truly be a force in athletic footwear, Amazon must improve its experience and convince brands to give them better product. Until this happens I do not see a major threat to Nike’s current major wholesale partners." And, while Nike is clearly an important brand for Foot Locker, Foot Locker remains a key sales partner for Nike, too, because it offers a sales channel that a brand can't replicate, according to Wedbush. "There are several reasons why [Foot Locker] should continue to remain relevant into the future, despite increased sales via brands' DTC," Wedbush analysts wrote in a June report on athletic apparel emailed to Retail Dive. "First, [Foot Locker] offers a variety of brands and its predominantly fashion consumer is not loyal to a single brand, but is influenced by fashion trends. One cannot purchase both a Champion logo tee and a pair of AF1’s on nike.com. Nike’s marketing message is also skewed to the athlete and not the fashion consumer." The retailer, especially as it revamps its fleet to include more "power stores," also offers "a premium and differentiated retail experience," wrote Wedbush's Svezia, who suggested that other retailers may have more to worry about. "Nike will be moving away from doing business with many wholesale accounts in the years ahead, though [Foot Locker] will remain a key partner."